Introducing the best of the E5-series recently unveiled by Motorola in the launch event held in Brazil. 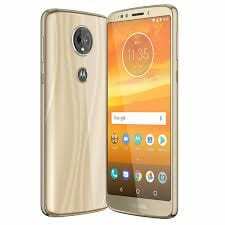 Unarguably, the Moto E5 Plus has the most attractive spec sheet and is definitely going to cost you more compared to the others, although not quite as much as the Moto G6 Plus. 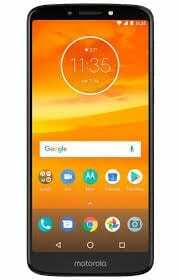 Besides having a large screen the Moto E5 Plus has an enormous battery capacity. As if this is not enough, the smartphone comes with a nice metallic design with minimal bezels. 32GB built-in storage, with support for up to 128GB memory card. A little flash back to the last generation of the E-series, the Moto E4 Plus had a plastic build but the new Moto E5 sports a nice metallic chassis. There’s a clear cut bump in aesthetics as this new smartphone has an impressive 18:9 aspect ratio with deliberate effort to minimize unnecessary bezels, thus, accomodating more screen space. You will find Motorola branded on the bezel below the screen while at the back you’ve got the fairly large camera module and the Moto logo which also doubles as a fingerprint sensor. Speaking on the display featured on the Moto E5 Plus, it is important to note that this is a budget offering so don’t expect to see a stellar display like the Samsung Galaxy S9 or Huawei P20 Pro. In that regard, there’s a 6.0-inch, 1440 x 720 pixels display with a pixel density of 268 ppi and a fairly decent viewing angle. Backed up by a behemoth battery like this one, it is feasible to go up to day without plugging your smartphone after a full charge. It is always nice to have the combination of a large battery and quick charge technology, which translates to lesser charge time and longer usage time. As you have with several smartphones out there, the 5, 000mAh battery on the smartphone is not removable. On the inside, like every other budget smartphone, you’ll have to make do with a low tier SoC from Qualcomm. The Moto E5 Plus makes do with a Quad-core Qualcomm MSM8917 Snapdragon 425 chipset running at 1.4GHz. This is accompanied by Adreno 505 GPU taking care of graphics related issues like gaming and so on. Going further, the smartphone impresses with a 3GB RAM and a 32GB internal storage to compliment. However, if you like to go on a download spree, this might not be enough for you, so you are provided with a dedicated slot that supports up to 128GB expansion. Plus you also get the latest Android 8.0 experience from the get go. There’s no word yet on its price tag or availablity although pricing should be around 95, 000 Naira depending on the deal and your location.